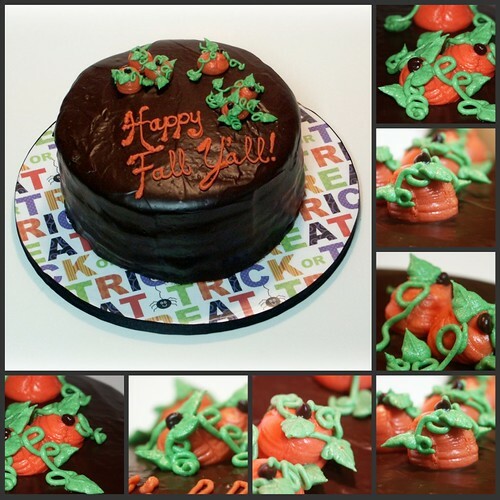 Three more cakes in autumn and Halloween themes. 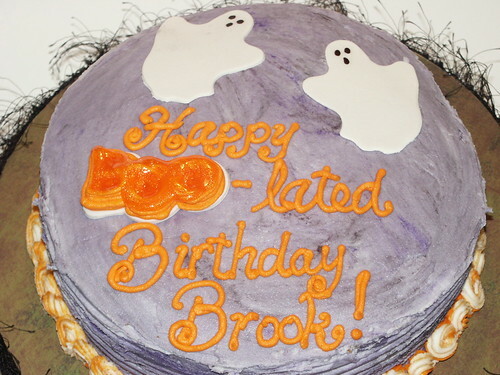 First is Brook's Boo-lated Birthday Cake. We were going to Brook & Sam's annual Halloween party so I offered to bring a cake, of course. Brook had just had a birthday, but didn't get to celebrate it so Sam asked me to make a birthday cake. Lemon is Brook's favorite so I baked a lemon pound cake with lemon filling and lemon buttercream frosting. I went with a Halloween design and I can't say I was happy with the final outcome. 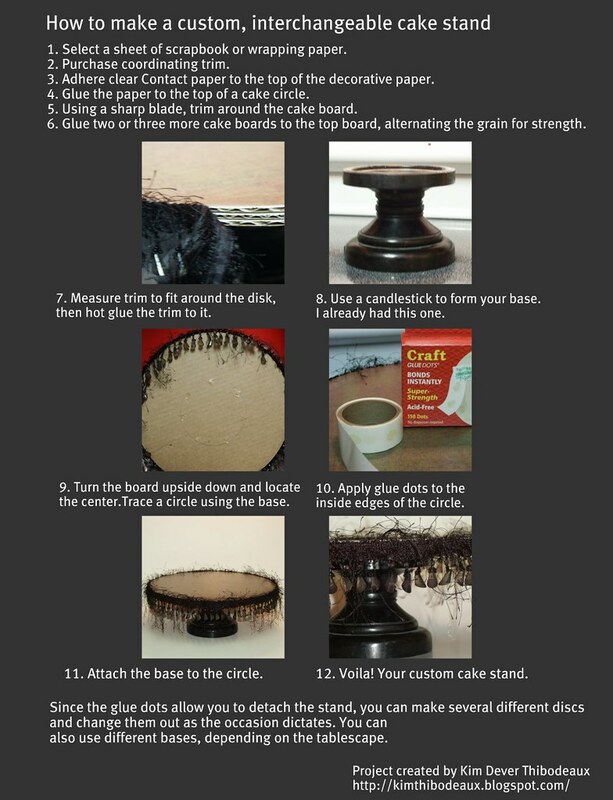 I was, however, happy with the custom cake stand that I made. But they enjoyed the cake with family the next day and said it was really good. 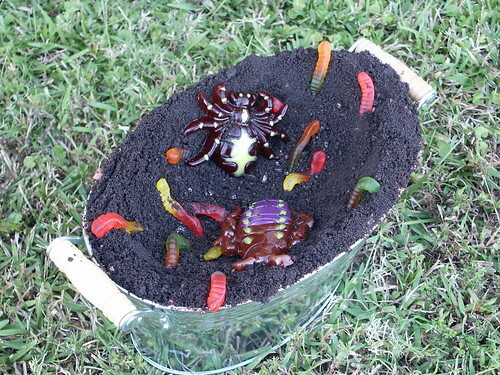 I also made this dirt cake, which I adorned with gummy worms and insects. I modified the filling recipe and added a bottom layer made of devil's food cake. It was actually delicious. The filling ended up being more of a chocolatey-cream cheese mousse! There was extra filling left over and we enjoyed it for several nights! And finally, this is a dessert cake that I'm bringing to work for food day on Friday, which is also Halloween. It's an 8-inch devil's food cake with six layers of cake and chocolate bavarian cream filling. I frosted it with Ghirardelli chocolate frosting and then pourced Ghirardelli chocolate ganache over the entire cake. The decorations are buttercream and cream cheese frostings. Yummy!